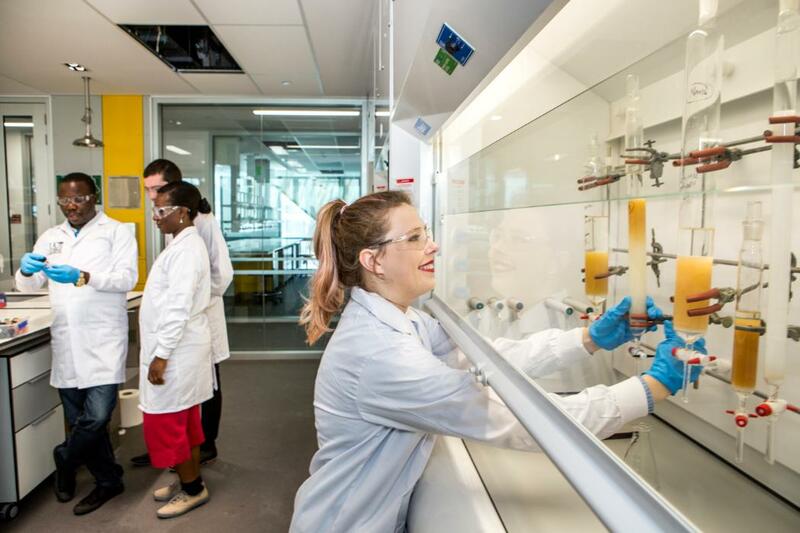 UC Science welcomes students who wish to study at the University of Canterbury for one or more semesters as part of an overseas degree via the UC Study Abroad programme. Studying at UC allows you to study at an internationally recognised institution in a city that is the gateway to the beautiful South Island in New Zealand. Our lakes, mountains, native forest, open spaces and clean air provide a magical backdrop and an outdoor adventure playground for your Study Abroad experience. At UC Science, you’ll have experiential learning opportunities where you can gain valuable real world experience and transferable skills through internships, field study, service learning, community engagement and more. Study Abroad students can select courses from across UC’s wide range of study options. Below are some of the courses offered by the College of Science that are most popular with Study Abroad students. A laboratory based course in experimental techniques, data acquisition and analysis, scientific writing and career skills for second-year physics/astronomy students. In this course students will learn and apply the methods of digital astrophotography to make images of the Universe that are not only beautiful, but can be used to study questions such as: "What is the chemical makeup of galaxies? ", "What are the temperatures of stars?" and "Is that nearby asteroid about to collide with the Earth?". The course will be taught in a very hands-on way, with the participation of students in tutorials and much of the assessment by way of practical assignments. Third year lab course contains significant project work. 150 hours of research undertaken with the supervision of an active researcher, taken in any semester. 400 level research project with any start time. A residential field course focussing on the identification and sampling of plants, in practical (field) conditions. Selected lectures, tutorials and assignments from courses relevant to biology and/or a supervised course of study subject to approval by the Head of School. Exchange students and new enrolments only may enrol in this course. Credit for this course may not be used to satisfy the requirements of a University of Canterbury degree. Internally assessed. Selected lectures, tutorials and assignments from courses relevant to biology and/or a supervised course of study subject to approval by the Head of School. Exchange students and new enrolments only may enrol in this course. The topics covered in this course are: preparative organic and inorganic chemistry; purification of chemicals including chromatography; practical spectroscopy and basic analytical methodology; data analysis, errors and Excel competence. Synthetic organic and inorganic chemistry incorporating library skills, and modern structural elucidation techniques such as 2D-NMR and X-ray crystallography. Applications of modern instrumental techniques to problems in fundamental and analytical chemistry. This laboratory course includes a series of set experiments and project work. Emphasis is on data analysis, communication skills and self-directed investigations. CHEM 255 is a new course that has a significant component built around engagement with a spin-out company. This course draws on the insights of human geography to deepen our understanding of how places are made and inhabited. This course examines contemporary aspects of globalization by focusing on new forms of economic activity, consumption and social life. Attention is given to the processes which are transforming places, whether urban or rural, and to the people within them. Examples will be drawn from within and beyond New Zealand. This course provides a field and practical based approach to investigating at least one major earth process from an integrated perspective. It is centred on a residential field trip to the Cass Basin Arthurs Pass. The goals of this course are to develop students' ability to undertake geographical research and to foster a critical appreciation of the research of others, both in preparation for graduate study and for entry into the workforce.The course is taught through occasional lectures and regular two-hour work-group meetings each week, supported by the availability of web-based resources, as well as active involvement in two field trips. This course explores the contemporary and pressing issue of urban development. The course includes an applied and practical element, conducted in collaboration with local government officials and communities. This course allows Geography students to apply their discipline specific skills within business, government, industry and non-profit organisations while gaining work-related experience. Emphasises volcanic earthquake and land instability hazards, includes a one-day workshop and a one day field visit relating to Christchurch and north Canterbury EQ hazards. 7 day residential field trip introducing specific geological field techniques. Based at the UC Westport field station on the West Coast. Has preparatory labs, no lectures. 7 day residential field trip at Cass field station covering advanced geological mapping in the field. No lectures or labs. 8 day residential field trip covering advanced geological field techniques and preparation of geological reports. Students have a choice between field camp based at the UC Westport field station on the West Coast, or based in the Oamaru area. No lectures or labs. UC Science offers courses across a wide range of subjects. For more information on these, visit the links below. Learn about our world-class teaching and facilities, applied learning, vibrant community and unforgettable student experience. Christchurch is a unique, vibrant city on the rise. It is also a gateway to the South Island – world renowned for its natural beauty and recreational opportunities. At UC your education doesn't end at the lecture theatre door. Join a community where you can be who you are and do what you love. The UC Accommodation Student Village offers an accommodation package, specifically tailored to suit the needs of Study Abroad and Exchange students. Everything you need to know about UC’s Study Abroad programme, including fees, scholarships, accommodation, how to apply, application dates, entry requirements, visas and more. Interested in experiencing Study Abroad at UC Science? Get in touch with our Study Abroad team!